Kenya will co-host the inaugural and one of the biggest conferences yet to discuss the economy and water, dubbed ‘the sustainable blue economy conference’. Kenya will co-host the inaugural and one of the biggest conferences yet to discuss the economy and water, dubbed ‘the sustainable blue economy conference’. For three days, between November 26-28, 2018, various stakeholders from across the globe will converge in Nairobi for the sustainable blue economy conference. Over 8,000 people will put their heads together, share experiences, good practices and forge the way forward in harnessing the potential of water bodies and how their utilization can support a vibrant economy, impact the lives of people, while conserving the same water resources for future generations. World Wide Fund for Nature (WWF) will take part in sustainable water use and management discourses throughout the conference. Pavan Sukhdev - President WWF International Board, John Tanzer - WWF’s Practice Leader, Oceans and other key leaders like Mohamed Awer- WWF-Kenya Chief Executive Officer, will be present in high level and side events throughout the conference. by employing the integrated water resources management approach. 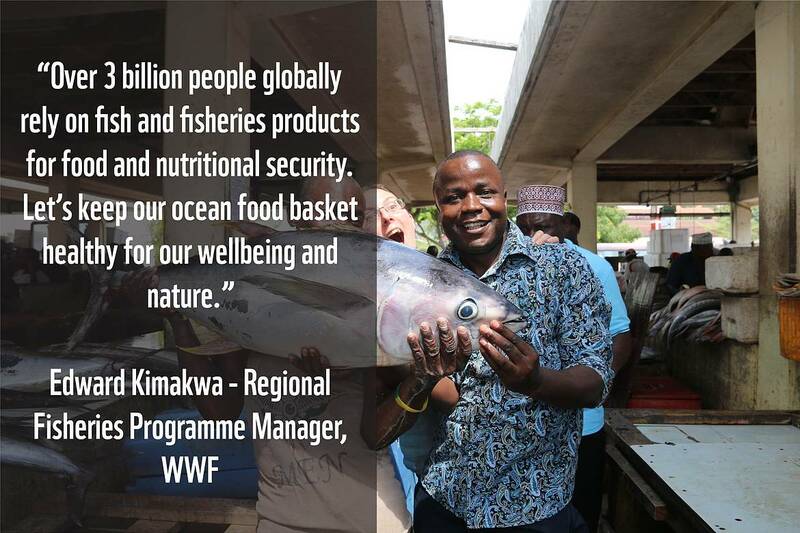 This ensures marine species thrive, important marine process happen, while local communities and economies continue counting on the water resource for subsistence and sustainable growth.